The Green Party looks set to overtake UKIP next week (update - the Green Party is now bigger than UKIP), the SNP will soon pass 100,000 and the far right has collapsed. Back in September, after the Scottish referendum, I wrote a piece summarising party memberships in the UK. In the weeks that followed things continued to change rapidly. So I thought I'd go through that process again. I decided to try to be a little more comprehensive this time too, and have covered some of the smaller parties as well. Before I get to the numbers, I think it's worth reporting on a couple of other details, which I find interesting. First, on both occasions I have done this – and, when I think about it, more generally in the past, I have had the same experience with each party. UKIP, the Greens and Plaid Cymru have all been relatively easy to get hold of – you just need to find the phone number on their website, and ring it. The Lib Dems eventually picked up the phone after I tried a few times, but every time I've been transfered to the membership department, no one's picked up. The SNP used to be easier to get hold of, but early this week, they still had their Christmas holiday ansaphone message (I finally got through today). The Tories and Labour are basically impossible to get hold of on the telephone. Secondly, not every party is transparent about their membership figures. Ring up Plaid, the Greens, UKIP, and they tell you. Both Left Unity and the NHS Action Party got back to my emails almost immediately, with their most up to date numbers. Likewise, when you get hold of them, the Lib Dems willingly share their numbers and the SNP announce them regularly. Labour include their annual UK-wide figures in their financial report. The Conservatives recently announced a new figure, as it had grown slightly. But, before that, they spent a long time refusing to tell anyone how many members they had. With the far-right parties, I took a different approach. Call me old fashioned, but I wouldn't trust a BNP or Britain First spin doctor any further than I could kick them in the Goeballs. So I rang the people who monitor the filthy world of British fascism so the rest of us don't have to look at it so closely. It turned out that HOPE not hate's annual “State of Hate” report is out today, and they let me have an advanced copy. 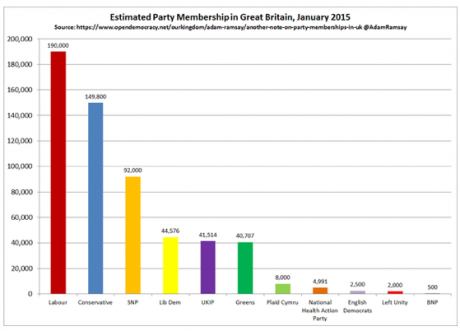 The figures on the BNP, Britain First and the English Democrats come from that. Fourthly, I've tended not to include Northern Irish parties. There is a worrying culture of secrecy around political activity in the province, and, on the whole, figures aren't available. There are, however, three exceptions to this. The first two are UKIP and the Tories. Farage's party organises in Ulster, and has an Assembly member (a defection). The Conservatives have a complex history in Northern Ireland, interwoven with that of the UUP. But since 2012, they have stood (with no success) as an independent party, and so their overall figures will include people there. The third exception is the Green Party of Northern Ireland. I've added them for two reasons. First, I was able to get a rough number from them. Secondly, Greens have three separate parties across the UK (England and Wales; Scotland; Northern Ireland) – all of which are members of what's called the Green Islands Network. Given this is already a collection of parties rather than one party, it would seem odd to exclude the third member of this grouping. However, there is a reasonable criticism that if they are added to the Green figure, then Alliance should be added to the Lib Dems and, arguably, the SDLP to Labour. If I had access to those figures, I'd happily share. Finally, there is a question to ask about what is meant by a member. For me, it requires two things: that you pay some regular money to the party, and that you have some kind of voting rights in exchange. There are, though, complications around this, particularly as parties have set up a plethora of different ways to support them in recent years. Every membership organisation has to decide what to do when someone's subscription doesn't show up. If it's an annual payment, it seems reasonable to wait a couple of months before you kick them out. But how long? I've got a reasonable amount of anecdotal evidence that both Labour and the Lib Dems have at least sometimes been keeping people on their books long after they've cancelled their direct debit – often for more than a year. A number of friends, for example, have been sent internal ballot papers by both parties well after they'd tried to quit them. To what extent are the numbers below swelled by people who've tried to leave? And does that vary between parties? Who knows. This is the same figure as I gave back in September – I can't find anything more recent. Despite being smaller than the Tories for almost all of the 20th century, Labour has now been the biggest party in the UK for a number of years now. It's not entirely clear, however, what this figure includes. For example, there has been controversy in Scotland around Scottish Labour sometimes counting in their figures members of Labour social clubs. These people don't get a vote in party ballots, and are only really signed up to get a cheap pint with some mates, so including them in the stats is dodgy as hell. I assume Labour doesn't add them in here, but who knows? On the other hand, Miliband's new trade union affiliation model requires people to opt in to their subs going to the party. Should those who choose to do so be added to the total membership figure? Afterall, they are contributing financially, and they are getting a vote, ticking my two boxes. The Tories announced this figure a couple of days after I published my last piece, and it's a slight increase on their 2013 number, though that is, they say, the first increase in a decade, and it's still a long way down from their peak of 3 million. Again, there's an interesting story to tell about distribution of the membership, though, this time, it's generational: according to a survey in 2013, the average Tory then was 59, with 61% of members over the age of 60. Unless this new growth can be sustained, the Conservative Party seems to genuinely be facing a serious likelihood of, quite literally, dying off in the next 20 years. This is the figure announced by Nicola Sturgeon at her massive rally in Glasgow in November – attended by 12,000. Given how fast her party was growing then, it seems inconceivable that it isn't a bit bigger than that by now. I rang to ask for a figure, and all they said was "between 90,000 and 100,000" and "we're growing every day". I suspect they are waiting to pass 100,000 before their next announcement. I wouldn't be surprised if that came soon. The new First Minister's tour of Scotland attracted thousands of enthusiastic new supporters, implying that these members, having risen up during the referendum, aren't planning on going back to their sofas. Adding that to the simple scale of the number, and it's easy to believe that Sturgeon will be able to commit more people-hours to her Westminster campaign in Scotland than either Labour or the Tories can put in across the whole of the UK. Even if the SNP weren't polling in the 40s, that prospect should terrify Labour. 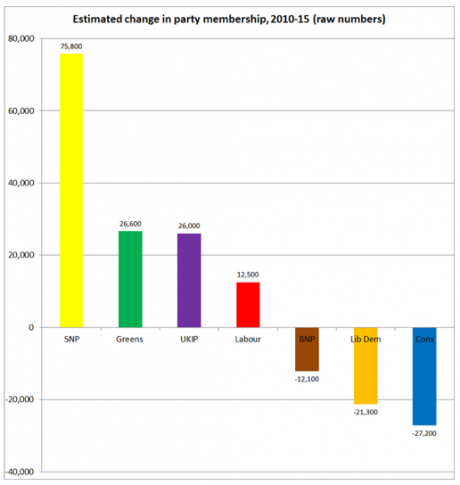 In 2003, the SNP had fewer than 10,000 members. The fact that they could well pass 100,000 before the general election is an astonishing change. This figure comes from Lib Dem Voice in November. Remarkably, it marks an increase on last year for the junior coalition party, who have seen steady growth for the last 18 months now. Of course, this doesn't take them close to their 2010 figure, but it seems they may at least be getting a dead-cat bounce. I got this figure from the UKIP press office on Monday. Looked at from the perspective of six years ago, it's remarkably high. Looked at from the perspective of the last six months, it's surprisingly low. UKIP had 39,000 members in June. Since then, they have gained their (sort of) first two MPs in high profile by-elections. I would have expected this to deliver them a much more significant boost in membership. What seems more likely is that they have had lots of people join – but they've had lots of people leave at the same time, due to their various internal wranglings and fallings out. - the Green Party of England and Wales: 32,629. - the Scottish Green Party: 7,950 (I got this figure on Monday, it seems to be growing fast, so this may well be out of date). 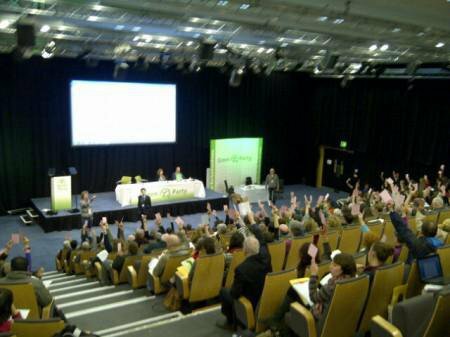 - the Green Party of Northern Ireland: 300 (roughly). These figures are all growing amazingly fast, so they're already out of date. Perhaps the most remarkable thing here is that, at the current rate of growth, Greens will overtake UKIP within a week, and be ahead of the Lib Dems before polling day – though, of course, anything could happen in the meantime. This time in September, there were fewer than 20,000 Green members across the UK. In 2010, there were only 10,000. In 2003, there were only 5,000. Given that Greens most commonly come from generation Y, whose first rule has traditionally been “don't join anything”, and that on a good day the party is polling half of what UKIP is, these figures are pretty astounding. The Party of Wales hasn't seen the same surge as the Greens and SNP, but it does have a higher percentage of the Welsh population than the Conservatives have of the UK population. This was a higher figure than I'd expected: if you consider that it costs £20 a year to join, that means they've now passed the point at which they can afford an office and a couple of staff – allowing them to bed in. The Trade Unionist and Socialist Coalition: ? TUSC is a coalition of organisations, and so doesn't have individual members. Instead, it has supporters, who as far as I can tell, can sign up for free. And that doesn't really count as equivalent. However, the Socialist Alliance, one of their member organisations, recently came into quite a lot of money, and is splashing it around – offering to fund a deposit for the 98 candidates they think they need in order to qualify for a minimum level of media coverage and a party election broadcast. Socialist Alliance say they are keen for collaboration with Left Unity too, but for some reason, this hasn't happened. LU said they suspect they have more than this, but that it's a figure they're confident in. Though the party is made up of individual members, it also, like TUSC, has the support of a number of other Trotskyite and Communist groups. It's not clear that the members of all of these organisations have in fact joined LU, and so it's possible that they could claim to draw on a broader membership than that which is directly signed up to them. But, then, I suppose, every party listed above could make similar claims in one way or another. Then there's the far right. In general, the “State of Hate” report out today demonstrates that it's been a bleak year for all of Britain's more explicitly fascistic organisations as UKIP have hoovered up their voters and supporters and as parties have fractured and fallen out in the wake of defeats. In 2009, that figure was said to be 12,200. But what was once Britain's biggest far right party was crushed in the course of 2014. With UKIP attracting their former voters, Nick Griffin lost his seat in the European Parliament and all of the funds which came with it. But, as ever, it was the fact that fascists hate each other as much as the rest of us hate them which was really their undoing. The former BNP chair didn't just lose his job in Brussels, he was also booted out of his party, which then fell apart. I stumbled across the two front people of the new kid on the far right block as they lurked in the shadows of the Scottish Parliament building back in September. They were there to show support for the Orange Order's march for the union the week before the referendum, and I was a little surprised that they only had three supporters with them. A few months earlier, it had looked like Britain First was going to be the next big thing in British fascism - uniting the street fighters of the EDL, who were in disarray after the loss of Stephen Lennon, and the electoralists who had abandoned the sinking BNP. I'd missed something important. In July, Jim Dowson, the brains and money behind the operation, had walked away from the party he'd run from behind the scenes. Without his support, they have fallen apart. The party once held the Mayoralty of Doncaster. But Peter Davies (whose son Philip is Tory MP for Shipley) resigned as an English Democrat in 2013, saying the party had been taken over by former BNP members. Months later, he lost his seat and, though the party gained a little “and finally” coverage this year as the only real advocates of English independence, they've failed to make any real progress. 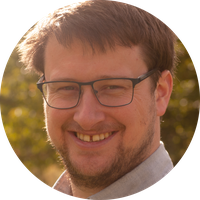 The excellent Stuart Wilks-Heeg (@stuartwilksheeg), politics lecturer at Liverpool University and former director of Democratic Audit, has produced these two graphs based on the above figures. This is the change in party memberships since 2010 of selected parties. This is the overall memberships listed above. There's one minor difference - Ever quick off the mark, Stuart based this on the original version of the piece, which I quicly updated with newer Green figures (more than 100 people joined yesterday). That explains the slight difference.